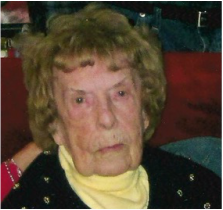 Beulah C. Lockrow - Howard B. Tate & SonFuneral Home, Inc.
Troy- Beulah C. (Haynes) Lockrow, 100, died peacefully, Thursday, November 5, 2015, at The Eddy Memorial Geriatric Center in Troy following a short illness. Born November 23, 1914, a lifelong resident of Brunswick, Mrs. Lockrow was the daughter of the late Freeman and Estella (Hayner) Haynes and for over 60 years the devoted wife of the late Myron G. Lockrow Sr. who predeceased her in 1995. As a young girl, Beulah attended the McKinley Grammar School in Center Brunswick and Troy High School. For several years she worked for both the former Peerless Department Store in Troy and the former Geranium Tree, a women's clothing shop in Latham. More recently she has been a homemaker and enjoyed caring for her home, her husband and growing family. A lifelong member of Gilead Luther Church, Beulah sang in the Church’s Junior Choir and was a member of the Luther League, the Supper Club and the Gilead Belles, She was also a member of the local 4-H Club and danced with the Arthur Murray School of Ballroom dancing. She enjoyed watching NASCAR racing and was an avid Jeff Gordon fan. 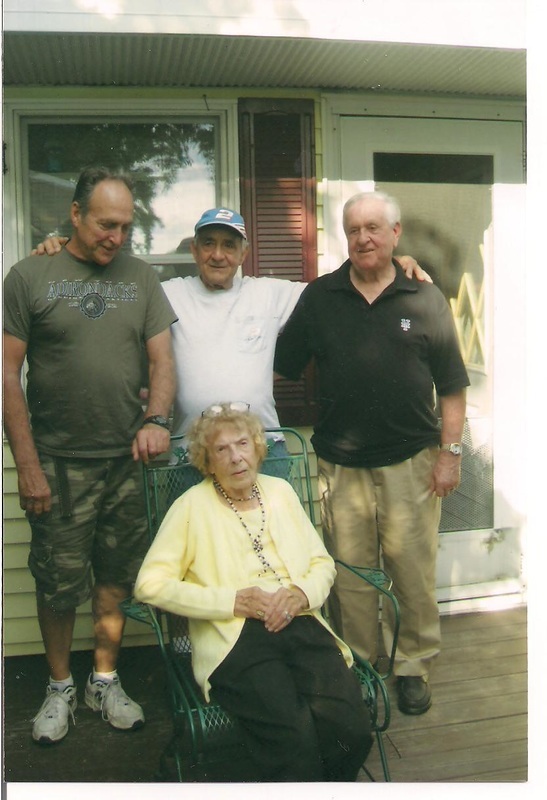 Beulah is survived by her three sons and daughters-in law, Myron G. and Helen Lockrow Jr. of Kingston, Robert F. and Carole Lockrow of Tamarac and Terry L. and Alba Lockrow of Brunswick, fourteen grandchildren, Bobby, Douglas, Tammie, Terry, Dwane, Joe, Taralynn, Daryl, Linda, Tania, Shawn, Chad, Scott, and Randy, twenty-four great-grandchildren, Jason, Jamie, Jerrid, Douglas Jr., Ernie, Amanda, Marissa, Alexis, Brett, Christopher, Joey Jr., Bobby, Devon, Taylor, Carlee, Lauren, Allison, Delaney, Brandi, Thomas, Natalie, Jack, Landon, and Lee, and ten great-great-grandchildren, Makenna, Carter, Colton, Aiden, Bentley, Keira, Ryker, Jayden, Preston, and Lea. In addition to her husband and parents, she was predeceased by two sisters, the late Mildred Haynes and Myrtle Haynes Duncan, and her very special friends, Dorothy Bulson, Bette Carle and Mary Shanahan. A funeral service will be held at 10:00 A.M. on Tuesday, November 10, 2015 at Gilead Lutheran Church in Brunswick with Rev. Lauretta Dietrich officiating. Burial will follow in Elmwood Hill Cemetery in Troy. Relatives and friends are invited to call on Monday from 3:00 – 7:00 P.M. at the Howard B. Tate & Son Funeral Home Inc. 2237 New York Route 7, located in Raymertown. Memorial contributions at the request of the family should be made to Gilead Lutheran Church, P.O. Box 26, Cropseyville, NY 12052 in memory of Beulah C. Lockrow. ​The Lockrow family would like to extend a very special and heartfelt thank you to the nurses and staff of both the Samaritan Hospital 5th Floor and the Eddy Memorial Geriatric Center for their care, love and support of Beulah while she was under their care.